This article was written for the American Executive Centers and has been published on its blog. Are you a sole practitioner with a legal, engineering, real estate, medical, investment management, marketing or other professional practice? Or do you work for a company and have a lucrative side business? Is your spouse your only employee? Are you generating income net of your operating expenses? If so, congratulations on developing your business to this point! Now would be a good time to shelter that extra income from taxation and save it for later. Thankfully, it isn’t expensive or much of an administrative headache to do so. A key decision point is if and how you intend to grow your business. Ambitious growth plans typically require investment in partners or other employees. If you can leverage your own capabilities through the sharing of resources in a furnished executive office, with back office support available as needed, you can pay as you go without the responsibilities and expense of managing and motivating employees. 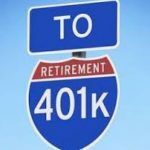 This approach makes available to you the most flexible retirement planning tool available to small business owners – the Solo 401(k). are more interesting to small business owners than SEPs because they allow both the employee and the employer to contribute. allow for a Roth alternative. permit access to your account balance through loans and hardship distributions. are exempt from discrimination testing because there are no employees other than yourself and perhaps your spouse. allow you and your spouse to each defer up to $18,000 per year, or $24,000 if you are over 50.
permit you to contribute up to 25% of your net earnings from self-employment income, up to $53,000 in 2016, including salary deferrals. 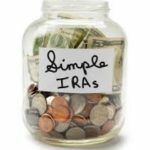 If you have additional employees, or plan to build your team in the future, you can set up IRA plans that require no management, fiduciary liability, or initial or recurring fees, and which allow the employer to sweeten the pot by making proportional or matching contributions. allow the employer to contribute as much as 25 percent of net earnings from self-employment as business conditions permit, up to $53,000. require that all eligible employees must receive proportional payout. do not allow you nor your employees to defer tax on salary. require the employer to match the first 3 percent of participating employee contributions or make a fixed 2 percent contribution. SIMPLEs differ from SEPs in that they require employer contributions in good times and bad. You have other options. Defined contribution plan alternatives include profit-sharing plans and money purchase plans. For some businesses, a defined benefit plan may be the best fit. This is a topic worth talking about with an expert. This entry was posted in Entrepreneurship, Featured, Money, Retirement. Bookmark the permalink.